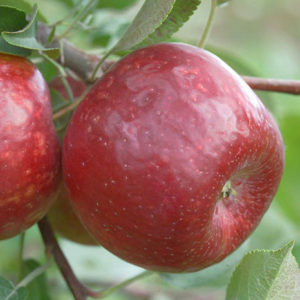 Medium-sized red striped fruit. 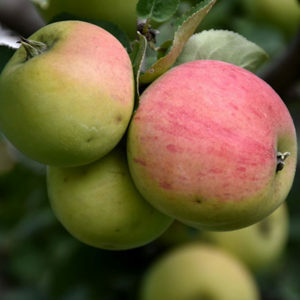 Flavor is sprightly tart and good for eating and baking. 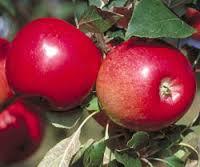 Striped red, juicy, moderately tart fruit good for eating and cooking. 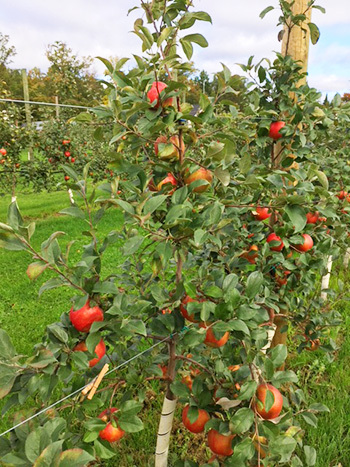 The fruit will store for 2 to 4 to weeks. 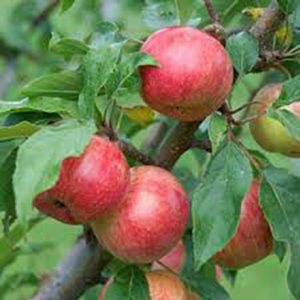 The tree is susceptible to fire blight and somewhat prone to biennial bearing. Introduced in 1977. 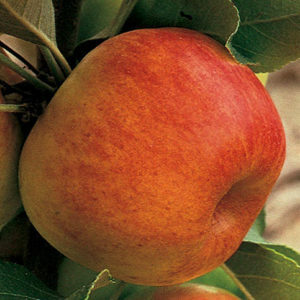 The State Fair apple tree produces a medium-sized, bright red-striped, all purpose apple. Semi-sweet to acid flavor, juicy with yellow flesh.